Check out my famous self! Spread over three tweets. 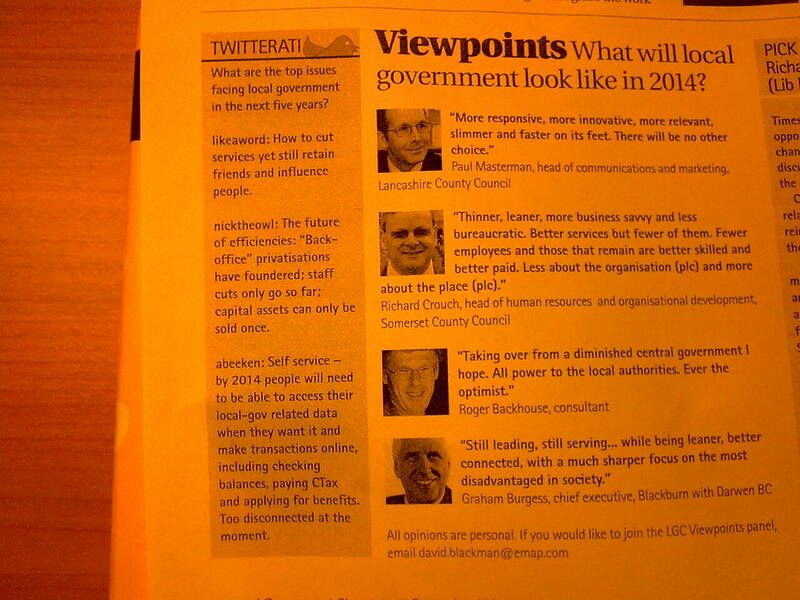 It can be found in the 19/09/09 edition of the Local Gov Chronicle, page 20 or by clicking on the piccy I’ve embedded. Previous Previous post: LocalGovCamp Lincoln – the website!